More than 80 chess fans of all ages gathered in Allenwood Park for CHESSanity’s fifth annual Chess-in-the-Park event on a chilly Saturday afternoon last month. The sun’s radiant glare disappeared as a few clouds obscured its shine, and a light drizzle developed. Nevertheless, soaked chess boards did not stop blitz and bughouse. Kids and adults alike enjoyed the lively, light-hearted environment. For once, frowns and tears from competitive tournament losses were replaced by contagious laughs and smiles embracing the moment. 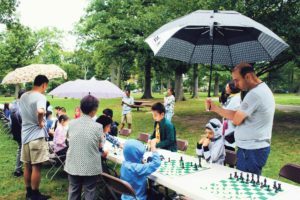 Since its debut in September 2014, Chess-in-the-Park has become both an annual gala for Long Island chess players and a who’s-who event among the Long Island scholastic chess community. 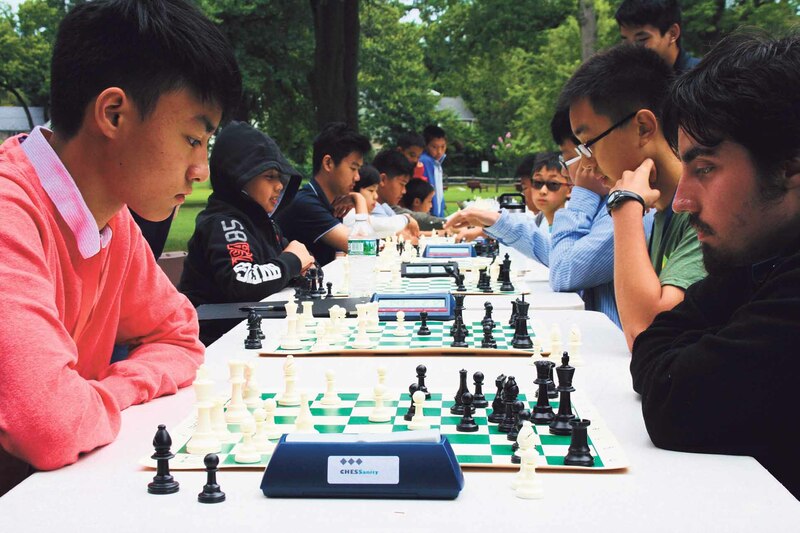 To some people, scholastic connotes “casual” or “less competitive.” This is certainly not the case on Long Island, which boasts three members on the 2019 All-America Chess Team and several top players in their respective age groups in the country. 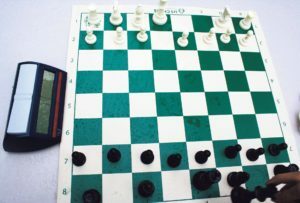 The event also serves as a terrific opportunity for parents eager to pick the brains of those who have had a successful track record in scholastic chess. The twins took turns playing. Chess-in-the-Park has evolved into a platform to cultivate and inspire young chess players for generations to come. One notable scene was the presence of twin sisters Genevieve and Victoria Xu-Ferguson of Great Neck, who skipped their music lessons in Manhattan for this event. Genevieve and Victoria picked up chess from a group lesson during the summer, which the author’s sons, Warren and Wesley Wang, offered. At the time, whenever the twins woke up in the morning, the first thing they asked was if they could play chess, and where. Without a doubt, it amused the Juilliard-groomed technology engineer dad, John, and the Juilliard-trained pianist mom, Chen-Xin Xu, whose New York Music & Art, which has locations in Great Neck and Forest Hills, cosponsored this year’s Chess-in-the-Park event, together with Learning Trees and Chess Mates. The volunteers made sure everything went smoothly. From the time I first took my older son, Warren, cofounder of CHESSanity, to Central Park 10 years ago for a simultaneous exhibition by Grandmaster Robert Hess, a then-Stuyvesant student, I have witnessed firsthand the rise in overall enthusiasm for the noble game throughout the country. 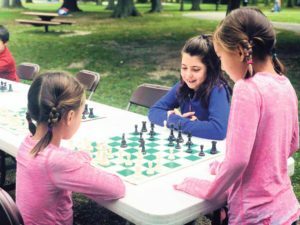 More and more Long Island school districts have been embracing chess as a tool to stimulate students’ brains. Ryan Cheung of Jericho, one of Warren’s earlier students, attended last year as a regular chess enthusiast. Though his astoundingly rapid progression, from a 1260 to 1944 United States Chess Federation rating jump, is credited to his passion, talent and family support, one could not emphasize the overall accommodating environment and supporting schools enough, including respect from classmates. A few strong players and their achievements have been inspirations for the younger chess players to look up to. Long Island chess alumni include Adam Weiser, a Yale graduate; Matthew Chun of MIT; and Anthony Cortese of Washington University at St. Louis, along with a few others currently at college, including Daniel Kostovetsky at Brown, Ethan Li at Princeton, Warren Wang at University of Pennsylvania’s Wharton School of Business and Josh Rubin of Middlebury College, to name a few. The chess sets got wet in the rain. For the most part, the event was run in the drizzle, which eventually tested every parent’s resolve. Those who left early surely missed the highlight of the day: bughouse chess, a popular variant on two chessboards where players in teams of two play against each other. Normal chess rules apply, except that captured pieces on one board are passed on to the teammate on the other board, who then can put any of these pieces on his or her board. The two partners can talk and exchange ideas. The friendly “trash talks,” loud noise and constant interactions tend to make such competition quite a scene. Robert Shibata and Charles Hua took off earlier from their math class in Manhattan and drove all the way to Great Neck. It was clearly worth it, as their take-home prize for second-place team was a $100 Amazon gift card. The event was organized for the first time without the help of Warren and his fellow chess friends and volunteers, who are enjoying a new chapter of their lives in college. As last minute registrants poured in from various parts of Long Island, I completely underestimated the complexity of the chess pairing system. 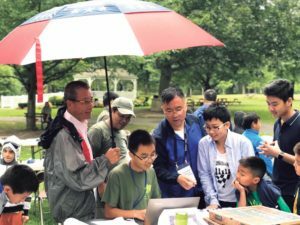 Luckily, William Hu, an expert-level chess player and qualifier for the American Invitational Math Exam in sixth grade, bravely stepped in and successfully navigated the system. Why does one need a reason or have a purpose to do anything? 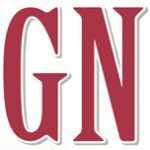 Luca Johnson is another typical high schooler who constantly shuttles between competing priorities, whether it be SAT or AP prep, sports or chess. On this rainy Saturday, chess nudged out tennis and consumed his whole afternoon. 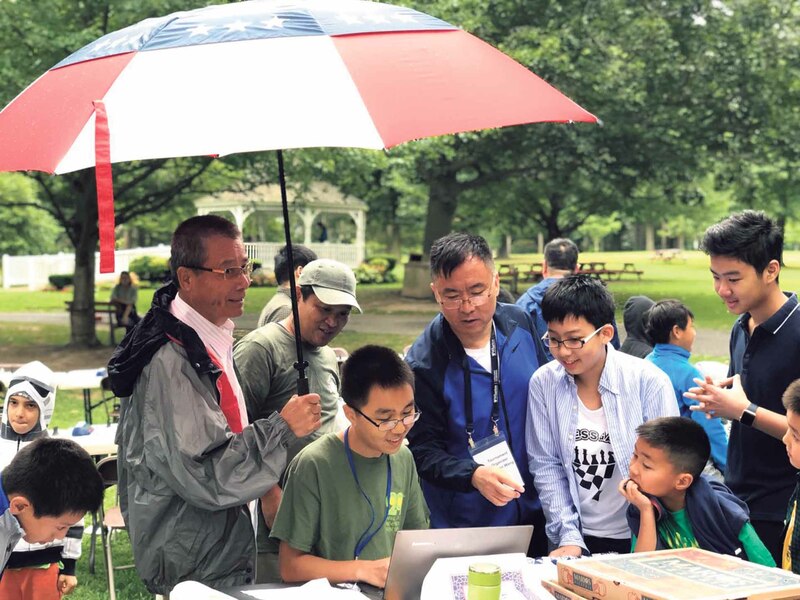 Winston Wang is a chess dad from Jericho, whose family claims to be the ninth family that has two siblings with National Master titles in U.S. chess history.